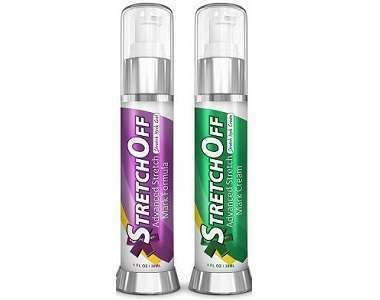 AvishiOrganics Intensive Stretch Mark Oil Review- Does It Work? Read our review below about AvishiOrganics Intensive Stretch Mark Oil. This product has been formulated to reduce scars from forming during pregnancy. The oil activates skin renewal to visibly minimize the appearance of existing stretch marks and scars. What’s in AvishiOrganics Intensive Stretch Mark Oil? Rosehip Seed Oil and Helichrysum Italicum Essential oil – improves skin elasticity, regenerates skin cells and reduces scarring. Sea Buckthorn Oil – with high concentrations of vitamins A, C and E, carotenoids, flavonoids and essential fatty acids, restores damaged skin. Tamanu Oil – relieves irritations and inflammation and soothes the skin, Borage seed oil – restores moisture and smoothness, and helps accelerate the healing process. Gotu Kola – rejuvenates and nurtures skin and its underlying connective tissues. Macadamia Nut Oil – protects the skin, (is a strong antioxidant), allows it to deeply-penetrate and hydrate the skin. The above ingredients might be effective in soothing, protecting and rejuvenating the skin, but to bring an effective overall scar treatment remedy, clinically proven ingredients such as , Emu Oil (relieves red or damaged tissue, moisturises, nourishes, and protects the skin with its unique combination of omega 3,6 and 9 oils), Safflower (soothes, smoothes and softens the skin and maintains elasticity in the skin), Onion bulb extract (for reducing scarring significantly), and Aloe Vera (used to speed up the healing process), should be a part of the formulation. 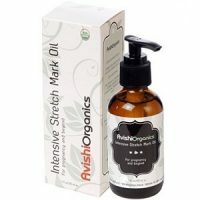 How Do You Use AvishiOrganics Intensive Stretch Mark Oil? It is recommended that this product is applied twice daily for a minimum of 3 months, by massaging it into the affected areas in a circular motion until fully absorbed. During pregnancy, the oil may be applied from the second trimester to areas that are prone to stretch marks such as the abdomen, breasts, lower back, hips, buttocks, and thighs. A 100 ml bottle of oil at a price of $38.50 may be purchased online directly from the manufacturer’s website. The manufacturer does not offer any discounted prices. The reviews of consumers are very positive. The manufacturer offers a 30-day money back guarantee. If the product is defective, and if the incorrect product was shipped it may be returned. Opened and used items may not be returned. The manufacturer offers the consumer an organic product which is very pleasing as well as the fact that the price is reasonable which will enable affordability to the consumer. However would we not recommend this product as it lacks clinically proven key ingredients. These ingredients are crucial to bringing elimination, prevention, and maintenance to the scar. The manufacturer does not give a user-friendly guarantee, which leaves the consumer with an allergic reaction to this product, with a product which they cannot use or return.